'Gilmore Girls' Revival: When Does It Premiere on Netflix? ‘Gilmore Girls’ Revival: When Does It Start Streaming on Netflix? 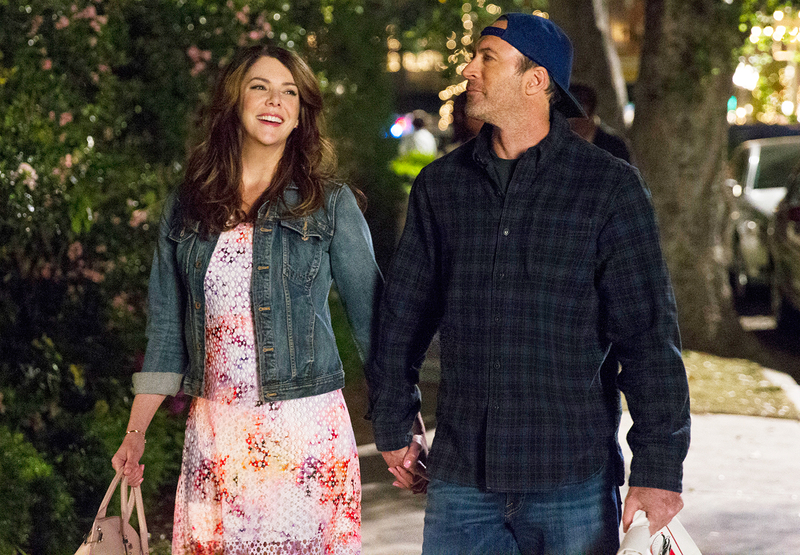 All the Details About Rory and Lorelai’s Return! Get ready to follow where they lead, just like the good ol&apos; days! The highly anticipated Gilmore Girls revival is about to launch on Netflix, and the show&apos;s fans are basically counting down the minutes until Rory Gilmore (Alexis Bledel), Lorelai Gilmore (Lauren Graham) and the rest of the Stars Hollow gang return for new episodes. Gilmore Girls: A Year in the Life consists of four 90-minute episodes, each focused on a different season of the year. All four installments are available for streaming on Netflix Friday, November 25, at 12:01 a.m. PT. This means you now have a valid reason to skip the crowded malls on Black Friday. Other notable returnees include Scott Patterson (Luke), Liza Weil (Paris), Kelly Bishop (Emily), Melissa McCarthy (Sookie), Keiko Agena (Lane), Sean Gunn (Kirk), Yanic Truesdale (Michel), David Sutcliffe (Christopher) and Danny Strong (Doyle). Bledel, 35, previously told Us Weekly that viewers will find out where Rory stands with each of her three main paramours from the beloved series that signed off in May 2007 after seven seasons. Indeed, much debate continues to percolate (coffee pun!) among fans regarding whether she is best matched with hometown hunk Dean Forester (Jared Padalecki), erudite bad boy Jess Mariano (Milo Ventimiglia) or Yale alum Logan Huntzberger (Matt Czuchry). All three guys will appear in the update, although one might not get quite as much screen time as the other two. "I think there is satisfying closure for fans of any of the three couples that tend to get some attention," Bledel says. "But they&apos;re very different interactions. I would say each one of them [gets] closure in a different way." Meanwhile, fans have taken to social media to share myriad theories about what might be revealed in the new episodes, including a possible wedding or even a baby on the way. Tell Us: Who do you want Rory to end up with on the revival? Gilmore Girls: A Year in the Life premieres on Netflix Friday, November 25, at 12:01 a.m. ET.